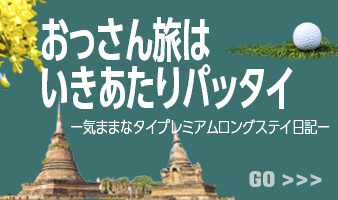 We, Eizen Nakamura and Masahide Iwasaki are the founding board members of Japan Thailand Golf and Wellness Association. Thailand is well known not only to be called Golf Paradise, but also for having the world’s top medical and wellness facilities. TGWA was established with a goal of providing precise information about Thailand to a wide range of people to promote golf and wellness tourism in Thailand. Through its promotion, we will also stimulate Japanese long-stay tourism as well as contribute to Japanese society in Thailand to invigorate related businesses, and furthermore to foster human resources of tomorrow. We expect that TGWA’s commitments will be contributory to deal with the rapid increase in social security expenses, including care and medical costs, concerned to occur in Japan in 2025 as members of the baby boom generation reach their late 70’s. In addition, we are working to realize our ambition to establish a facility in Thailand with an aim to accommodate senior citizens from Japan. We are certain that the time has come to develop exchanges between Japan and Thailand and to be involved in dynamic social activities through promoting golf and wellness tourism. Your support would be greatly appreciated, and we are looking forward to meeting you soon.